There is a new whiff of anxiety that engulfs the Australian air amidst the shimmering heat of expectations leading up to the Boxing Day test at Melbourne. Triggered over the last 18 months by a sudden upsurge in the number of individuals presented a baggy green, it marks a stark contrast to the mood in a nation that boasts having fielded the least number of captains in Test Cricket over the best part of the last 3 decades – an accolade that that sits atop a list that boasts solidity and surety in selection and leadership. A defeat to their Trans-Tasman neighbors isn’t the most ideal way to approach a Boxing Day fixture. Australia’s amorphous top order has welcomed its newest occupant in the form of Ed Cowan, an individual perhaps known more for his prowess with the pen than the bat (given that a lot of viewers do not follow Australian Domestic Cricket) – one who has just come off a century in Canberra against the touring Indians. Avid book readers will relate his autobiography to the isomeric title that is shares with that written by a Pakistani General. The partnership of Cowan and Warner, representing solidity and attacking batsmanship respectively, will look to take advantage of a brittle Indian bowling line up whose injuries and form are governed by Heisenberg’s Uncertainty Principle. The Australian weakness against the moving ball has been as well documented and exploited as political instability in the Middle East – a problem that has been diagnosed with no credible solutions on the card. Whether the Indian attack is all steam and no engine, depending on the fitness of Zaheer amongst others, to take notice of this is a question that will be answered over the next few days. The lone positive that Australian cricket has witnessed is the rebirth of Michael Clarke, the batsman, after taking over the captaincy mantle. Clarke was touted as successor to Ponting well before he turned 25, and had his sinusoidal fluctuations in form – one that saw more troughs than crests over the last three or four years, including an alleged assault by current outcast Simon Katich. But Clarke seems to have learnt, and learnt for the good. Much will depend on the number of runs he contributes at number five, given that he is the meat of the sandwich formed by old war veterans Ponting and Hussey, whose batting averages over the last few series’ have dipped to numbers possibly lesser than their ages. But history has shown that these men have answered questions with the axes right over their heads. And they’ll look to capitalize against what appears a fragile attack on paper, given that the lower order’s batting form – especially Haddin and his unsure methods – has been indifferent of late. 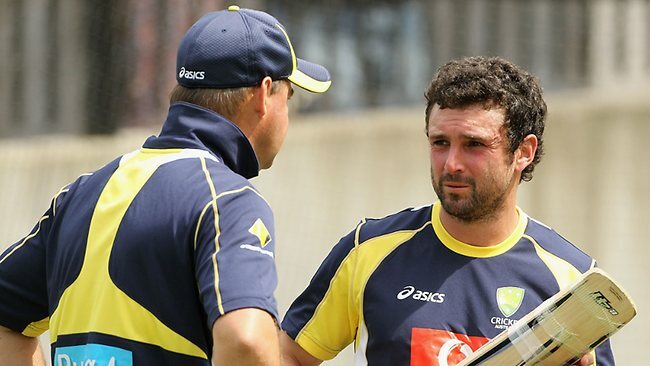 A good total is one that would allow a young Australian bowling attack – boasting pace and aggression, but lacking experience – to have a go at an experienced Indian batting lineup that could well see off its stars from Australian soil for possibly the last time in some of their careers. The impressive forms of Pattinson and Siddle along with a wily Nathan Lyon will be up against a batting line up possessing a barrage of runs in their career banks – something that they are unlikely to encounter anytime later in their careers. But the bigger concern that would require addressing from Mickey Arthur and the rest of the coaching camp is the Australian catching of late. Never before have so many issues tainted the Australian lineup and their first foreign coach would look to bury the issues, rather than sweeping them under a carpet. Weather permitting, as I glance through the weather forecasts in Melbourne predicting showers, the cricketing world will look forward to a series that will erase the bruises of the last series down under to tip the cricketing scales towards the sporting direction.